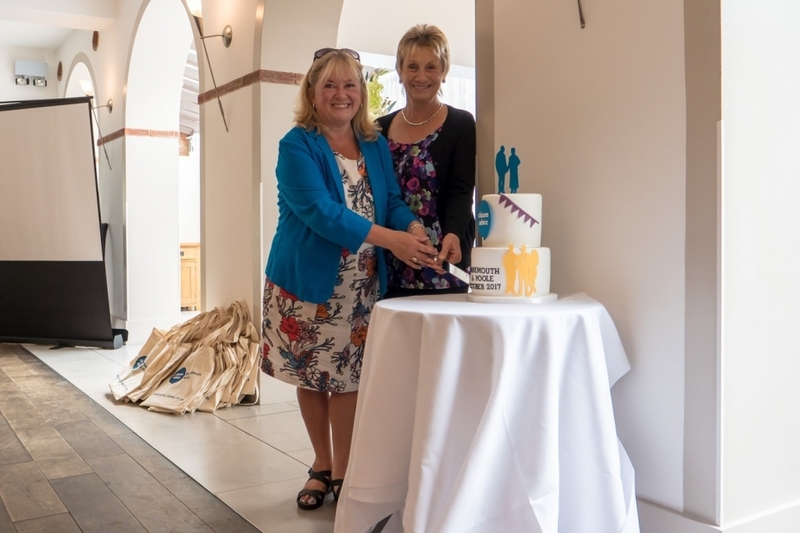 We had our merger celebration in anticipation of the merger between Citizens Advice Bournemouth and Poole Citizens Advice Bureau which will formally taking place at the beginning of December. Both organisations have been working closely together in preparation and have already seen the service for both Bournemouth and Poole residents grow with the introduction of new projects and outreaches. The event that took place at Compton Acres welcomed local councillors and officers from both Bournemouth and Poole, Conor Burn MP for Bournemouth West, partners and stakeholders all helped us to celebrate the proposed merger and what the future might hold for the larger merged organisation and the residents of the conurbation of Poole and Bournemouth. At the beginning of October, Zoe and Emma attended the launch of Street Support. Street Support is an online information resource that brings all the local community support together in one place to help people out of homelessness. Allowing those in need to find help, but also shows others where they can give help. Citizens Advice Bournemouth is one of the organisations involved along with Bournemouth University, Dorset Healthcare Mental Health team, BCHA, Big Issue, Shelter, YMCA, CAB, AOK rucksacks, Teen Challenge, Bournemouth Christians Alongside Rough Sleepers, Faithworks Wessex, Bournemouth Town Centre Churches, Boscombe Angels and Bournemouth Foodbank. 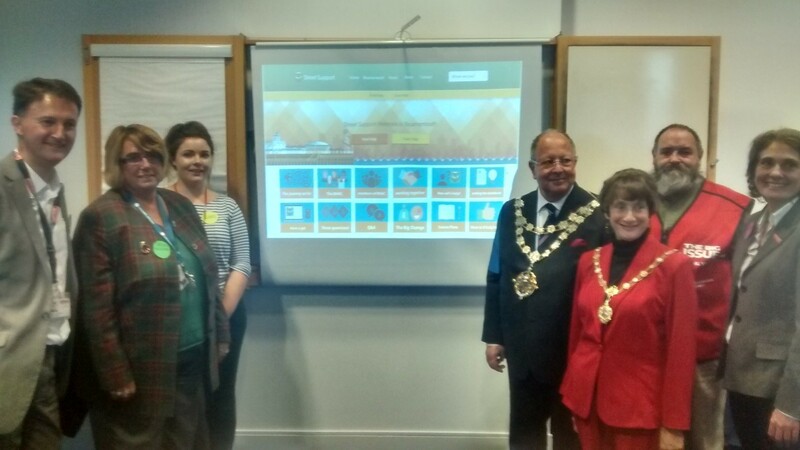 The event was a great success with many partners and stakeholders attending to hear about the new website and the collaboration with Kate from Shelter, Alistair from Faithworks Wessex, Claire from the Big Issue all updating everyone about the service. There are already discussions about it broadening out to include the rest of the conurbation and even the rest of Dorset with many more organisations excited about becoming involved in the collaboration. As the month moved on October became busy with our Business Development Manager, Emma attending the launch of the Dorset Careers and Enterprise Advisers at Kingston Maurward. The project will provide mentors from business who will be working closely with secondary schools across Dorset to help prepare young people for work by providing work placements, mock interviews or working with the careers teams within the schools to ensure the strategy is ensuring students are leaving school ready and prepared for work. Emma will be a mentor for the scheme and is looking forward to working with a local school within Bournemouth and Poole and show students the benefits of a career is the third sector such as Citizens Advice as well as how we can help prepare them for work through our volunteering opportunities. Citizens Advice Bournemouth has been successful in securing some ‘in kind’ funding through the BSBT project delivered by the Home Office and M&C Saatchi to help support the Governments Counter Extremism Strategy. Currently there are a 167 different partners including third sector organisations and local authorities receiving a mixture of ‘in kind’ and grant funding all with the common aim of reducing terrorism and tackle discrimination and hate crime. Speakers at the conference included Diana Luchford – Acting Director General for Crime Policing & Fire Group, Philip Rutnam – Home Office Permanent Secretary and Baroness Williams – Minister of State for Countering Extremism. As well as Reggie Yates well known for his documentaries on the BBC talking about the things he has done through his documentaries to help the general public get a better understanding. Jane, our Water Guru Adviser attended and returned with many exciting ideas for our Bournemouth and Poole Hate Crimes Project which we will be developing during 2018 which we are excited to work with M&C Saatchi on. Citizens Advice Bournemouth has recently become a member of Prejudice Free Dorset which is collaboration of third sector organisations and statutory organisations such as the Police and Fire Service working together to reduce discrimination across the county. The conference was a brilliant opportunity to network with other organisations working with those at risk of discrimination, raise awareness of the Building a Stronger Britain Together project as well as an opportunity to look at how we can make the collaboration stronger moving in to 2018. At the conference we got to see a screening of ‘Into Dust’ – a project created and commissioned by b-side to tackle phobic behavior, social isolation and raise awareness of LBGT issues both locally and nationally. As well as hear from a young person who is involved in the Space Youth Project and ‘b-side’ which was truly inspirational.